Physical therapists Krista Smart and Becky McGill specialize in treating patients with spinal cord conditions. According to the National Spinal Cord Injury Statistical Center, there are an estimated 282,000 people living in the United States with spinal cord injuries. There are many ways to damage the spinal cord, but the most common spinal injuries stem from traumatic events such as car accidents, falls, and sports-related injuries. In these cases, a sudden blow fractures or compresses one of the vertebrae in the spine. 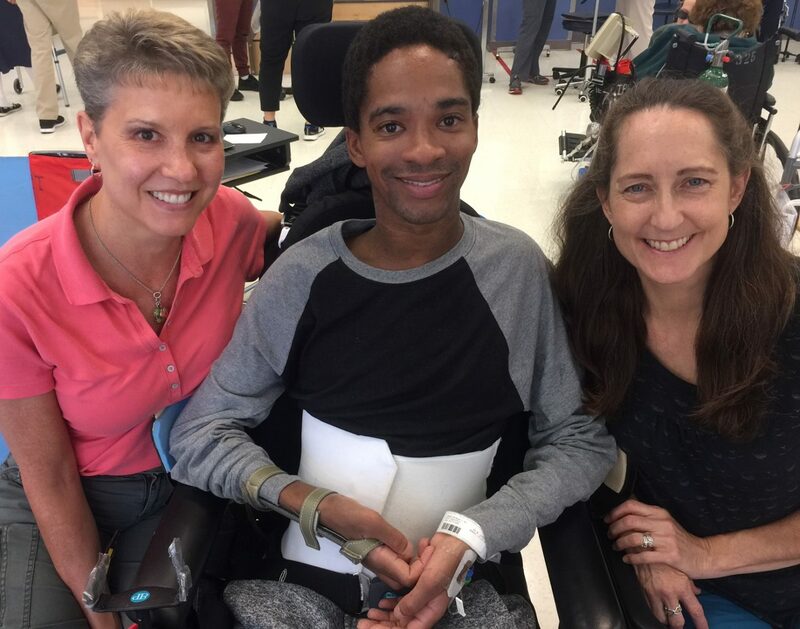 Bacharach’s CARF-accredited spinal cord injury program is designed to maximize patient function and independence while providing support to patients and their families. Every patient is surrounded by a dedicated team of nurses, doctors, physiatrists and rehab specialists, who work together to meet the complex challenges of the patient. The Bacharach rehab team works with patients to develop a care plan that meets the patient’s specific needs by incorporating a number of different therapy options, such as team meetings, pool therapy, home visits, wheelchair clinics and more. To learn more about Bacharach’s spinal cord injury program call 609-652-7000.